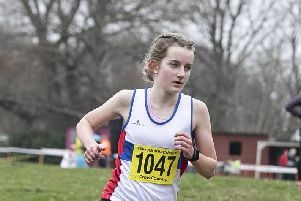 Talented City of Portsmouth athlete Serena Vincent smashed her personal best to earn an excellent fourth place in the European Under-18 Championships. The 16-year-old threw the 3k shot out to a personal best 16.84m which was another new national under-18 record as she shone on the big stage. She finished ahead of her Great Britain team-mate Hannah Molyneaux who took fifth place. It was a brilliant performance from Vincent in Hungary and continues her superb 2018.